In 2019 the ARC will consist of 4 Sprint event (run as 2 Heats) and 2 Endurance events (having an Overall result). 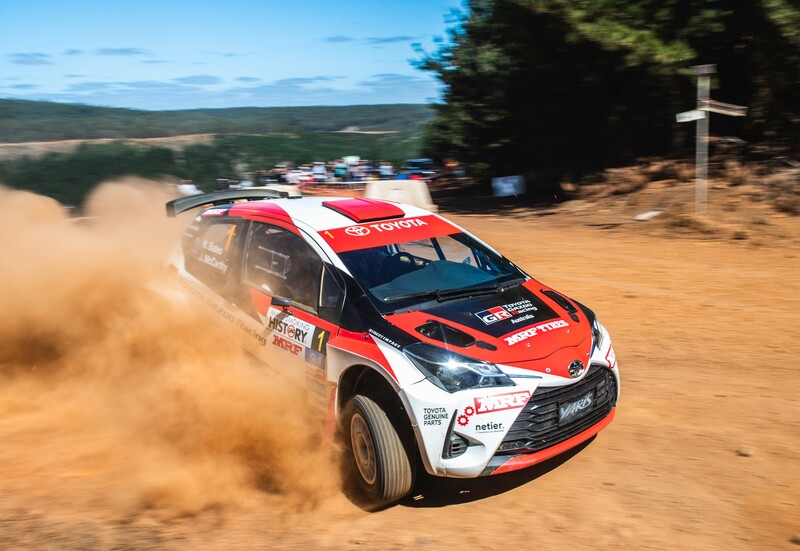 Of the Endurance events there are 2 different sets of FIA regulations (APRC & WRC) with the FIA allocating bonus points for each APRC Leg but not for the WRC. The ARC regulations need to work in conjunction with all 3 different regulations and are designed, as far as possible, to make the rules consistent across all types of events so that a situation in one event has a similar effect to the same situation in a different event. ARC points are allocated to 20th place to try to ensure that as many crews as possible get something to show for their efforts especially when travelling to another State. Allowed in accordance with NRC at any subsequent Service Out, Regroup Out or the Final Control. To start Heat 2 cars must be in Parc Ferme 6 hours before the start. Outright places first to twentieth Overall plus bonus points equal to 50% of the Outright points for each Leg. Under the FIA regs rejoining is only allowed at the start of the following Leg. To start Leg 2 cars must be in Parc Ferme by 1 hour before the start. Outright places first to twentieth Overall plus bonus points equal to 50% of the Outright places for each Leg. Under the FIA regs rejoining is only allowed at the start of the next day. To start a subsequent Day cars must be in Parc Ferme by 4 hours before the start. From 2017 any ARC crews rejoining are allocated a maximum number of points equal to 11th place in their category for each Heat/leg/Overall (previously there was no restriction). All ARC entries are required to register in 2018 and so it is quite likely that crews rejoining will finish lower than 11th. Rejoins are allowed at the Final Control in accordance with the NRC and this is consistent with crews being able to rejoin at a Service or Regroup during the day such that a problem in the morning is treated the same as the same problem in the afternoon. The FIA originally allowed rejoins at the final control but this is no longer the case. Note 1: In Sprint events, to be eligible for Heat points cars must be in Parc Ferme by the close of Late time. Crews may still rejoin at the later time but receive no Heat points. Note 3: In Endurance events, to be eligible for points for the Leg ARC cars must be in Parc Ferme by the time specified in the Itinerary for classified crews. Crews may still rejoin at a later time but receive no Leg points. ARC crews are allowed to rejoin at the Final Control of each Leg purely for ARC bonus points. Note 4: The total points available in Rally Australia (WRC) is 25%s more than available at any of the Sprint events and in Canberra. Traditionally the last rally of the season has always had a bonus to try to keep the Championship alive.